Change the method of acquiring the client IP address. Set the method for acquiring the IP address. Normally you should select a remote address. 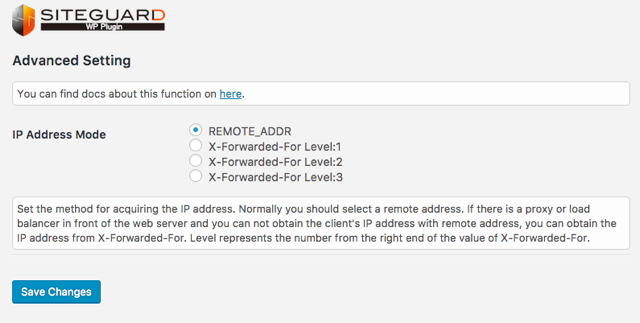 If there is a proxy or load balancer in front of the web server and you can not obtain the client’s IP address with remote address, you can obtain the IP address from X-Forwarded-For. Level represents the number from the right end of the value of X-Forwarded-For. X-Forwarded-For Level:n is selected, and if there is no X-Forwarded-For header or the value of the specified level is not present, it will be obtained from the remote address.